Newton Hall fig 54 2010, Tameside. 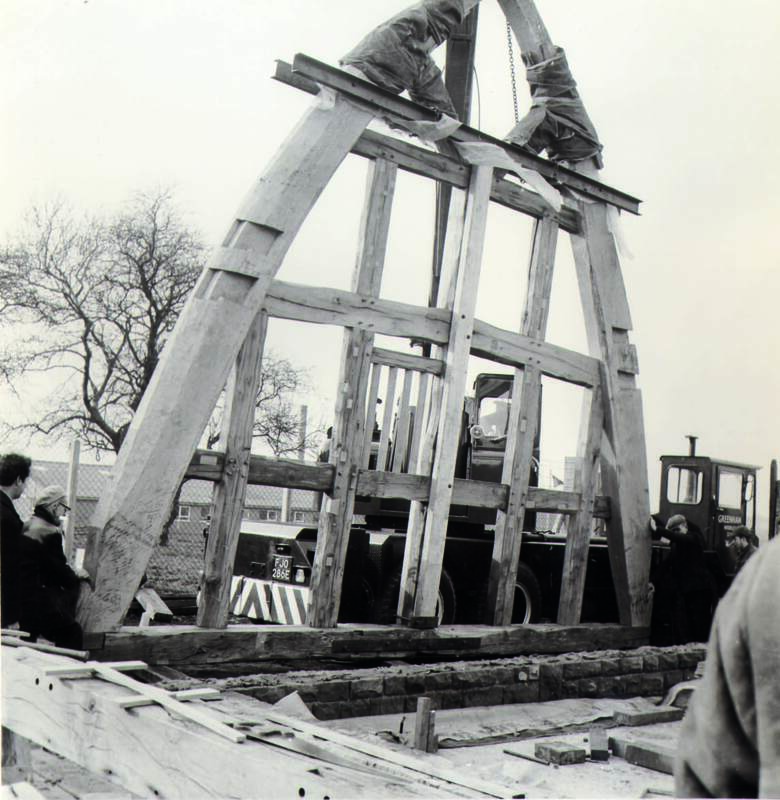 The reconstructed southern cruck gable being lifted into place in March 1969. The oak trees for the blades came from Bury St Edmonds but a number of rails were reused from the orignal timber hall structure. Photograph courtesy of George Kenyon and Sons Ltd.